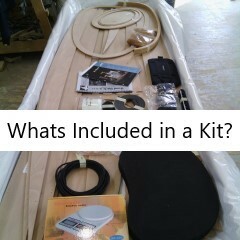 Home » Whats included in a kit? Here at Denman Marine there are a few different options for your future project. We can supply plans and manual packages for most CLC designs listed on our website, full kits or wood only kits to suit your requirements. 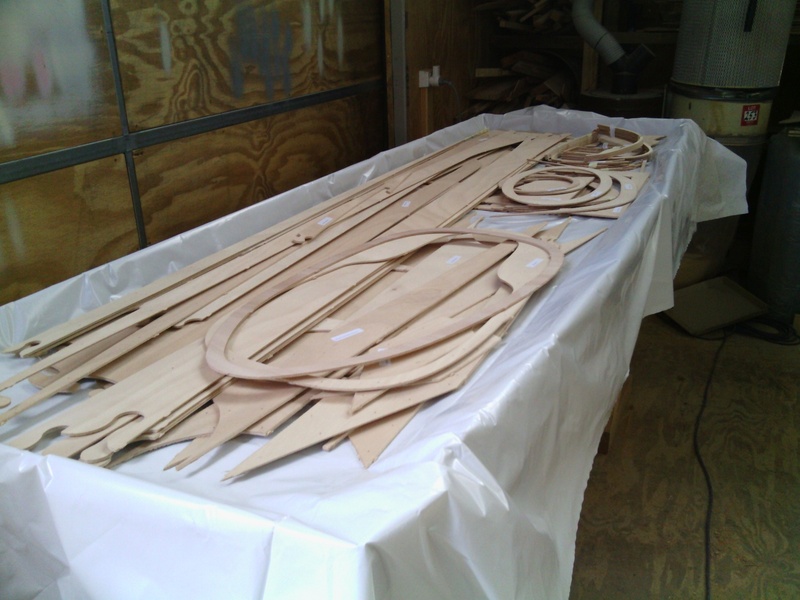 All Chesapeake Light Craft kits are CNC cut and packed in house at our Tasmanian workshop from local and imported materials and components. Given we are operating a small buisness, these kits are cut and packed to order, so please check the current availability on any kit page for our current queue length. Please note; all our kits do not include any tools, consumables, paddles, oars, or topcoat (e.g. Paint system, Varnish, etc.). You will need your own tools and will find information in the build manual regarding required and additional tools you may like to have available for your project. Consumables like sand paper, brushes, rollers and thinners will need to be sourced yourself from a local hardware store. Please ensure your topcoat of choice is marine grade and UV resistant. 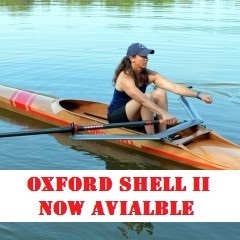 See our Choosing the Correct Oar page for further details on oar selection. All fasteners supplied are 316 Stainless Steel (unless otherwise specified) and the supplied epoxy is West System. 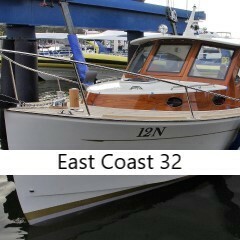 We have found using West System epoxy gives us the best results in boats constructed here at Denman Marine. Your kit will also include an Denman Marine written information booklet with helpful tips on using epoxy to its best. Timbers commonly supplied are Meranti, Western Red Cedar, Hoop Pine, Oregon, Silver Wattle, Tasmanian Oak, and Blackwood. Due to licensing with CLC in the US, we are unable to sub-license out the construction of CLC designs to third parties within Australia and New Zealand. This would include buying kits and/or plans with the intent of either building and selling, direct on-selling, or their use in any form of income or compensation. Denman Marine works closely with Chesapeake Light Craft and provides them with a significant amount of licensing fees every year as their sole agent for AUS/NZ. Whilst we are more than happy to sell you a kit to build for yourself, we would not be able to supply kits or plans to be constructed with the intent of on-selling. Denman Marine can build any of the CLC designs to your specifications, please contact us for further details. The purchase of any plans and manual package or kit licenses you to build a single iteration of that design. Subsequent build licenses are available however costs will vary, please contact usfor further details. When you purchase a plans and manual package you can expect to receive a bundle of plans and a detailed build manual. 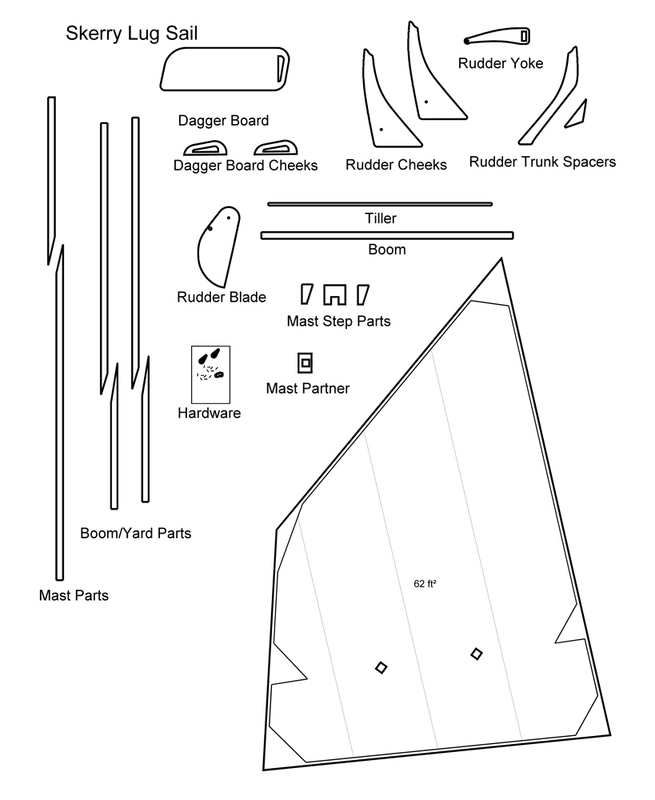 Depending on the design you may receive full size plans, these are printed on long rolls of paper with full size templates for parts like planks, bulkheads and deck parts. 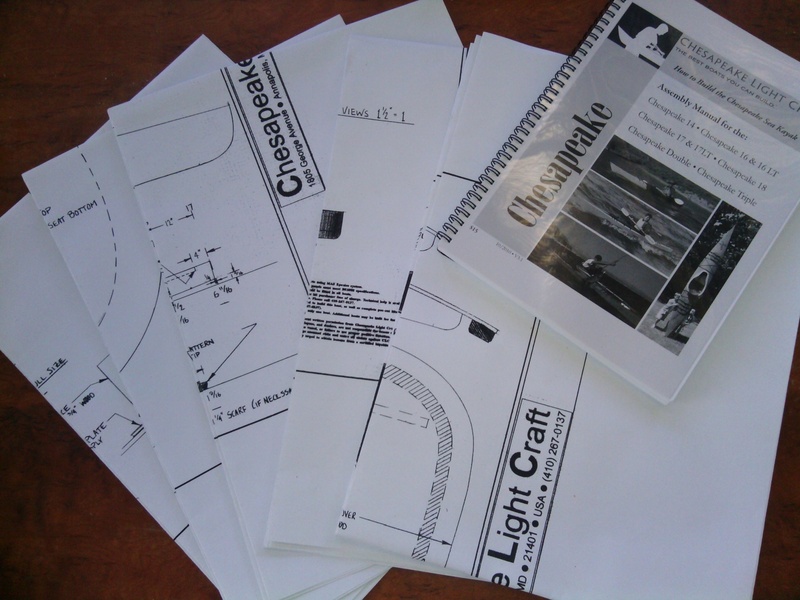 The plans may also be printed on A2 paper with details of how your boat will fit together. The A2 plans often include both full size templates for some of the smaller components, as well as measurements/stations for the larger components. The number of sheets of plans you will receive will depend on the design. The build manual will again vary in size depending on the design. These are printed in black and white on A4 paper, ring bound with a clear protective cover. The manuals have been put together to a very high standard with many detailed pictures and instructions that will guide you through the build process. They also include details on tools and materials, as well as tips and tricks to get the best results from your project. The plans and manuals are exactly what you would receive from CLC USA and license you to build a single iteration of the purchased design. Subsequent build license costs will vary, please contact us for further details. Plans and manual packages are printed to order by a local printing company, please allow a few buisness days for printing. Base kits most often apply to designs that can be built in different ways or to different stages and include all the components and the vast majority of materials required for you to finish the base version of a design. 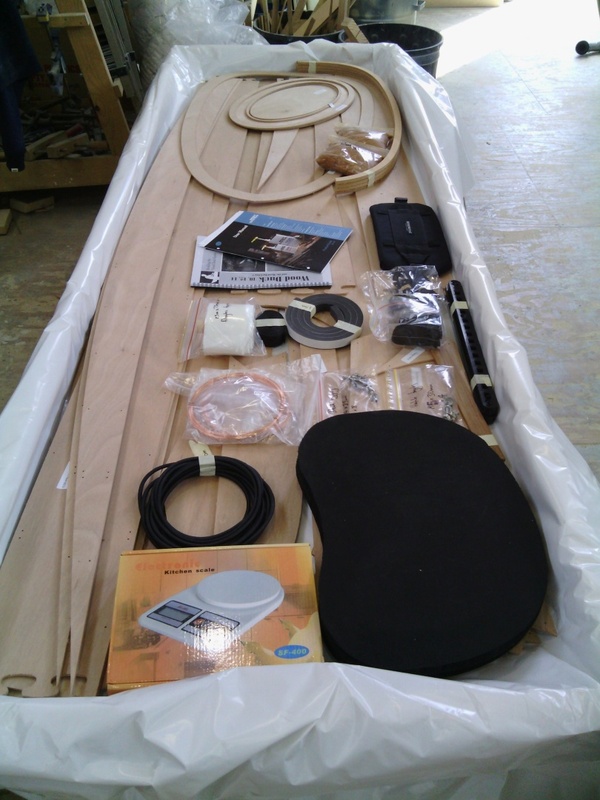 For example; the base kit for the Skerry will contain almost everything you need to complete a rowing version of the kit. You may also wish to purchase its sailing components in addition to the Skerry base kit in order to construct a sailing version of this design. Please note; our kits do not include tools, top coat (paint/varnish), paddles, oars, or consumables such as sand paper, gloves, masks, brushes, rollers, etc. A list of suggested tools and consumables is listed in at the front of your build manual. 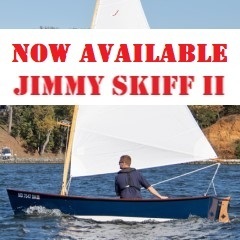 Sailing component kits are intended to be purchased along side a base kit, or can even be added to a completed kit at any point after it has been completed. 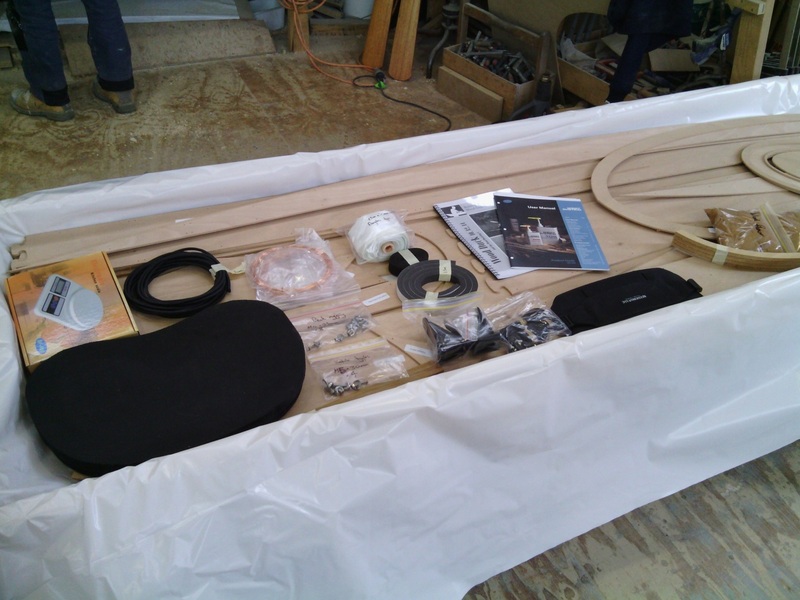 A full kit is very similar to a base kit however it most often applies to kayak, rowing, canoes and Paddle Board designs and will get you all the materials required for you to finish the project. This includes everything you would get in the base kit but also all other specific hardware for the design chosen. The other components shipped to you depend on the design ordered. 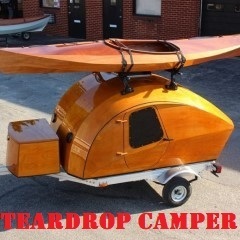 Kayak designs will usually include the foam seat, rapid pulse back band, keepers foot rests and deck rigging. Rowing kits contain a set of rowlocks and horns, but will not come with any oars or sailing components which can be ordered separately. Some customers may find they are only interested in the CNC cut plywood components, utilising the accuracy and speed offered by the cutting technology. Wood only kits include the CNC cut parts, any solid timber parts like sheer clamps or rub rails, and a manual. Here at Denman Marine we are able to produce kits to an equally high standard, matching (if not exceeding) that of CLC USA. A lot of our materials used are similar if not the same and will allow each customer to produce a beautiful, light weight, long lasting craft. As each design is different, the components shipped to you will vary. Feel free to get in touch to find out exactly what's included in your future kit.